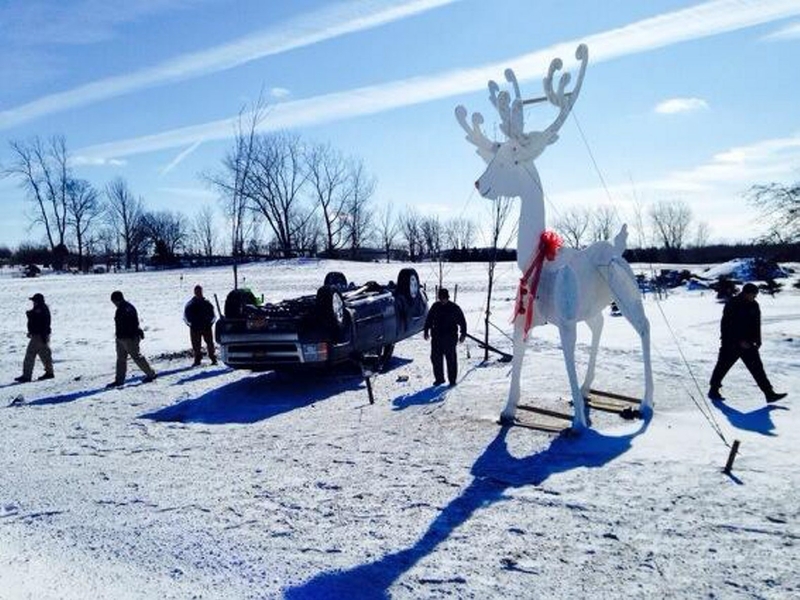 Passengers emerge after their pickup rolled over on icy Route 33 in Corfu, Genesee County, today. We know it’s cold today, but not record-breaking. Buffalo came close to breaking a pair of 19th century records for cold today. We didn’t quite make it. The lowest the thermometer hit was minus-3 at 6 a.m. The record of minus-4 was set in 1884. The coldest high temperature ever recorded in Buffalo for Feb. 28 is 11 degrees, reached in 1875. That one will now stand as well. The temperature hit 13 degrees about 3 p.m. The thermometer did drop lower than minus 3 throughout the area. In Dunkirk, it was minus 10. In Jamestown, 12 below zero. Bradford, Pa., minus 17. The coldest in the area was Franklinville, 21 degrees below zero. Looking for a place to warm up? How about Anchorage, Alaska, where the temperature this morning was 39 degrees. “Saturday, we’re going to have a welcome warming into the low 30s just above freezing," National Weather Service meteorologist Kirk Apffel said. But the warmth ends Sunday. “Sunday, Monday and Tuesday, we’re going to have highs in the teens, and we’re looking at snow starting Saturday night into Sunday. Not a huge a amount, but everyone is going to get a little," Apffel said.